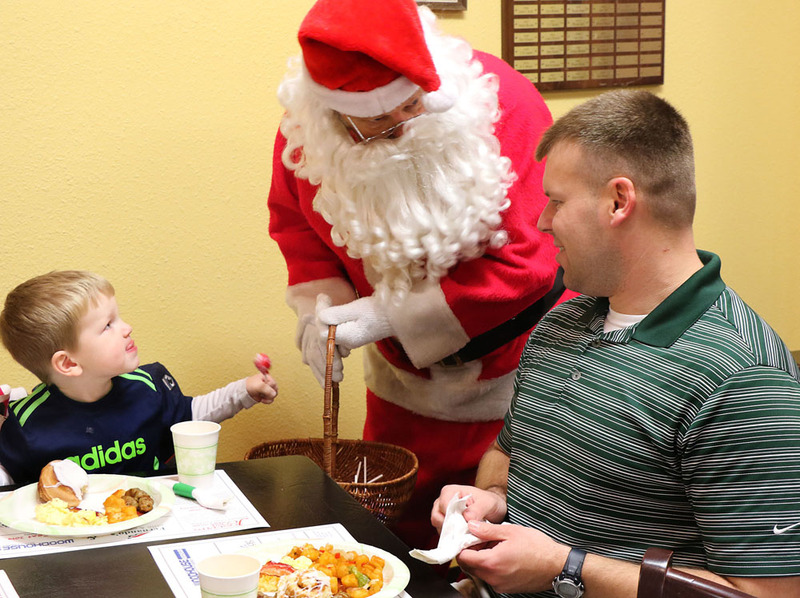 State Senator Lydia Brasch serves up breakfast for Seth and daughter Lauren Bray at Christmas for the Coat at Fenando’s Cafe and Cantina on Wednesday morning. 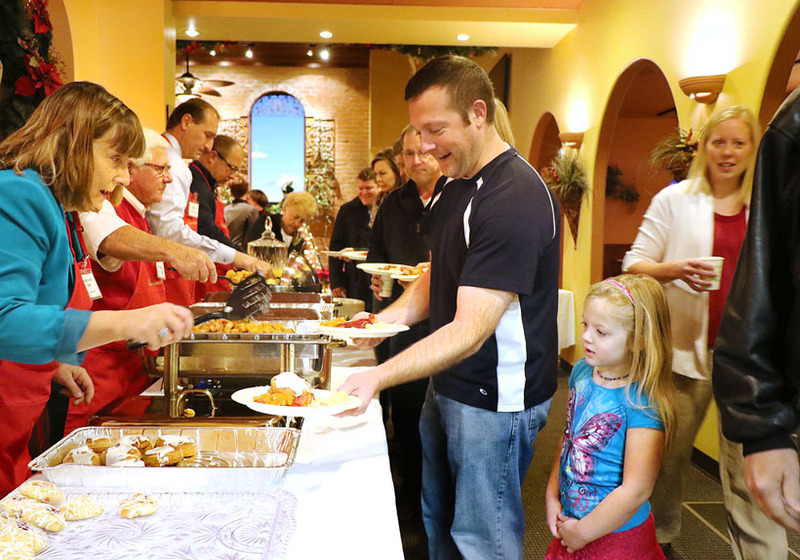 The benefit breakfast held at Fernandos’s Cafe and Cantina last Wednesday was a fundraiser for Joseph’s Coat. ‘Celebrity’ servers included local clergy, city and county government officials and employees, and Nebraska State Senator Lydia Brasch. The event raised $37,455 for the Washington County Food Pantry. 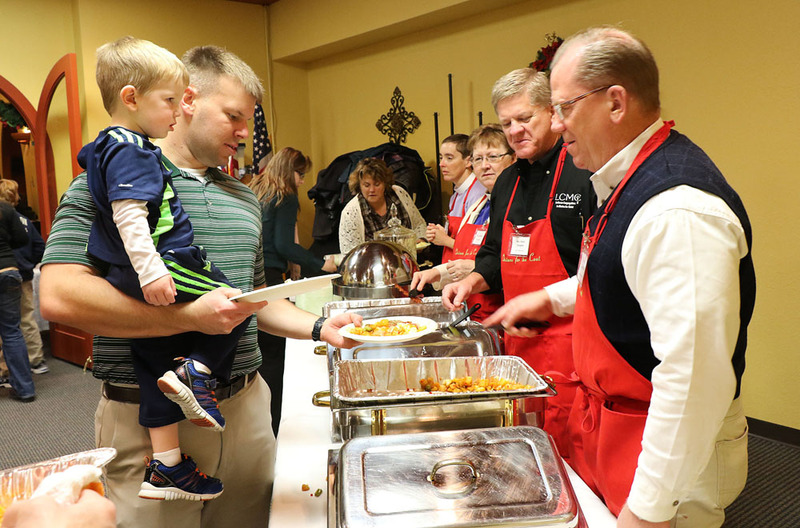 Washington County area church pastors serve breakfast to Ben and son Brock Deutschman at Chrstmas for the Coat. Santa visits with Ben and son Brock Deutschman at Christmas for the Coat. 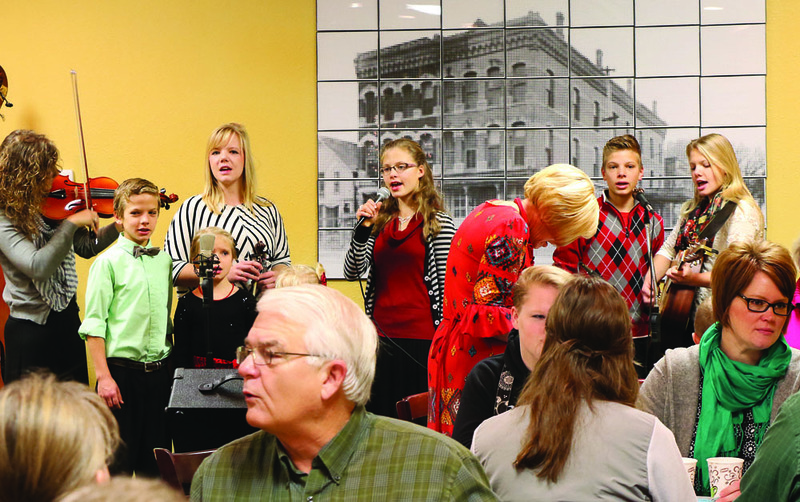 The Stangle family performs for a full house at Christmas for the Coat.